Enjoy your beverage and soak up the view. You’ll love watching the streets bustle around you as you sip on a refreshing cold beer. 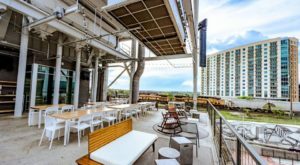 These eight rooftop bars and restaurants in have sensational views of Austin, and you’ll want to visit every single one. 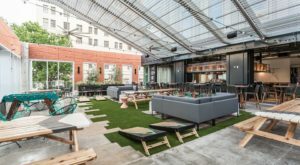 This downtown bar is the perfect place to people-watch. Overlook the bustling city skyline and observe the revelers down below. 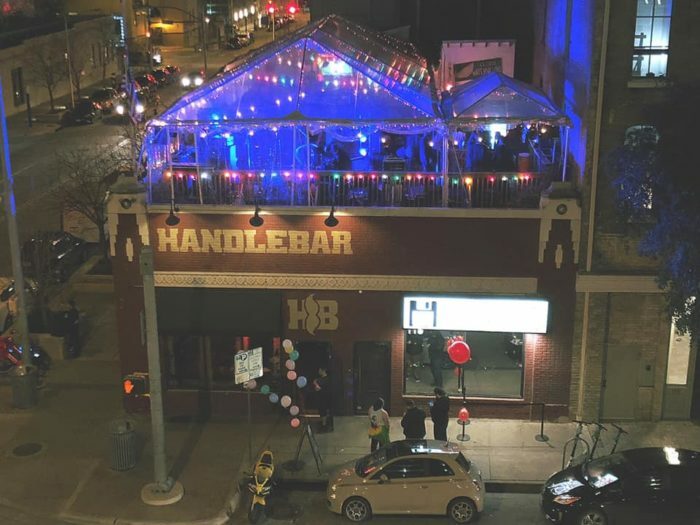 You don't even need to worry if it's chilly or rainy -- Handlebar puts up a cozy covered awning during the winter months. 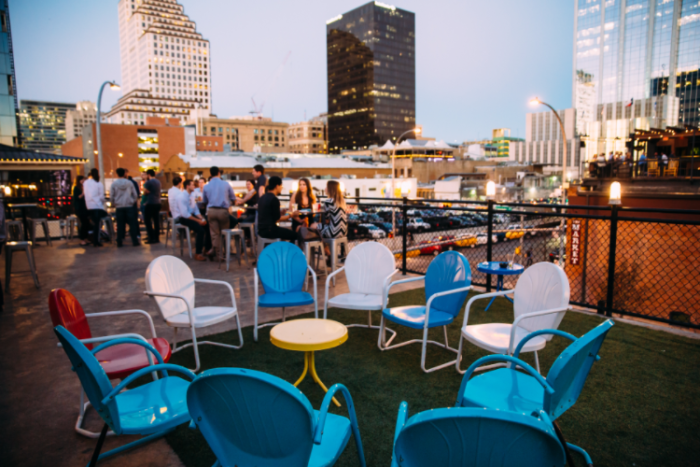 You'll love sipping a craft beer at 121 E 5th St.
Sip a lovely glass of wine or a refreshing cocktail on Hangar Lounge's rooftop patio. This bar was modeled after an airport lounge, and you'll love the retro feel. 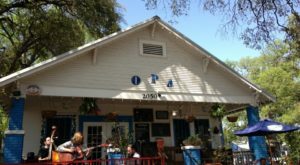 Check it out at 318 Colorado St.
El Alma has everything your Austin heart desires: scrumptious salsa, delicious enchiladas, and wonderful margaritas. 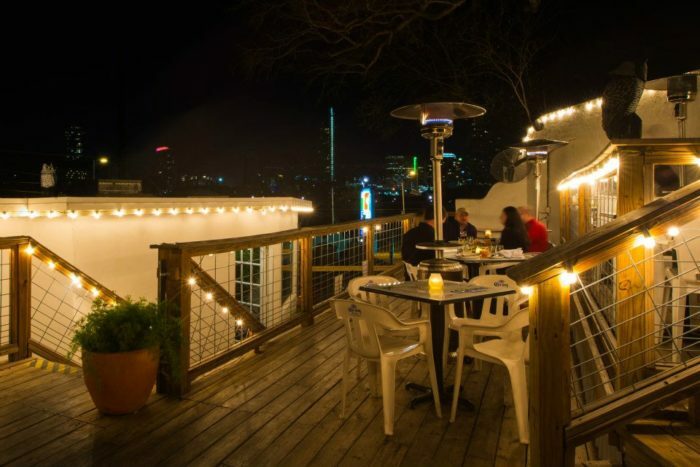 The downstairs restaurant is delightful, but the rooftop patio is even more magical. Come up here for a memorable meal or just a few drinks. 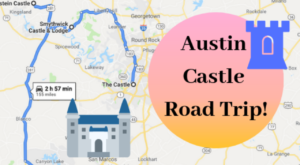 El Alma is located at 1025 Barton Springs Rd. The drinks are divine, but the atmosphere is cool and casual. 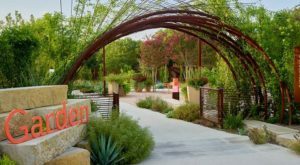 Stroll on over to Green Light Social and soak up the views. Their extensive cocktail menu and beer list will absolutely amaze you. Green Light Social sits at 720 W 6th St.
his downtown restaurant and bar is full of excitement. Sip on a lovely beverage while playing a friendly game of corn hole. This fantastic getaway was meant to bring people together. Upstairs at Caroline is located at 621 Congress Ave. If you want to learn more, check out our feature article here. 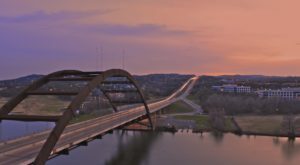 This exquisite restaurant in Austin is home to some of the most dazzling downtown views. 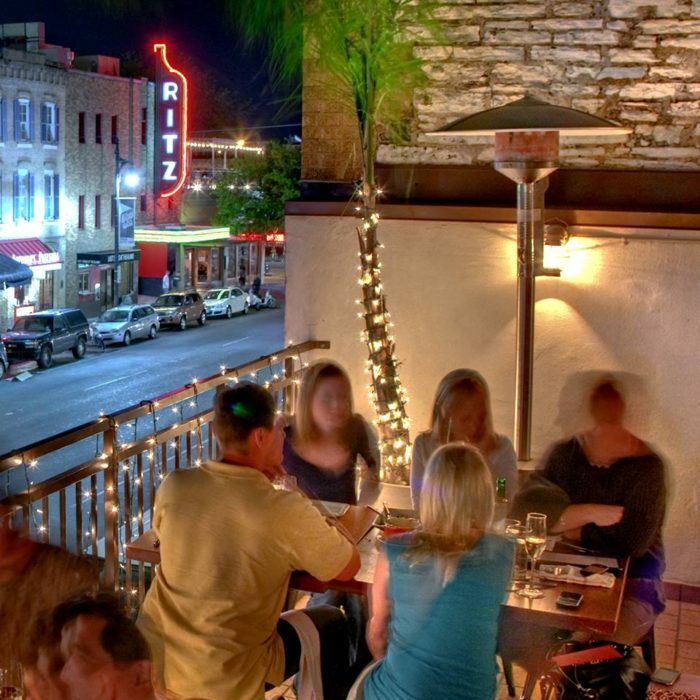 Watch Sixth Street swirl below you as you dine on mouthwatering burgers, seafood, and pasta. Come by for happy hour between 5 pm and 6 pm and enjoy half off all beer, cocktails, and bar snacks. You'll love dining at 301 E 6th St. 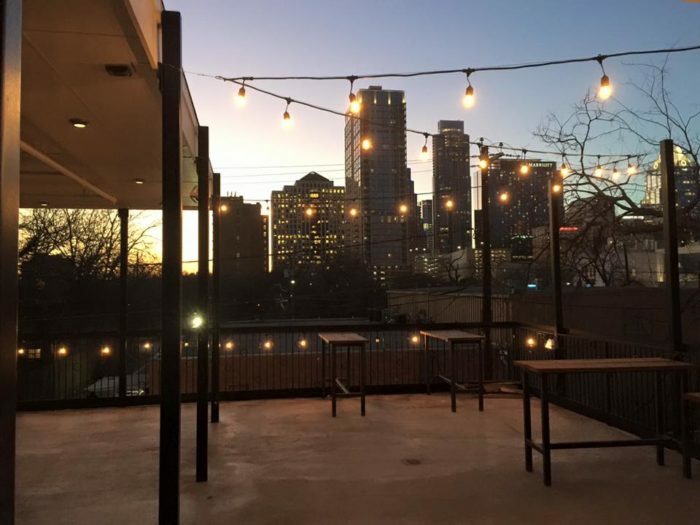 This hopping Rainey Street bar will fill you with joy. There's always something fun and exciting happening here. Stroll up to the bar and order a drink. 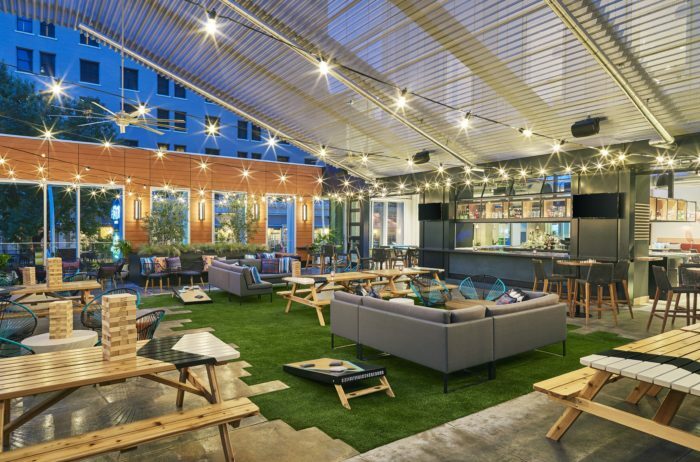 When you enjoy it on their rooftop patio, you'll feel your troubles melt away. 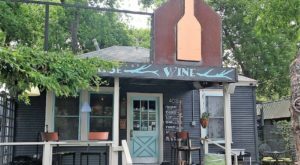 Lustre Pearl is located at 94 Rainey St.
Come here for some down-home barbecue and a cold beer. This hip establishment also boasts of incredible East Austin views. Nothing beats devouring a plate of brisket on their rooftop. 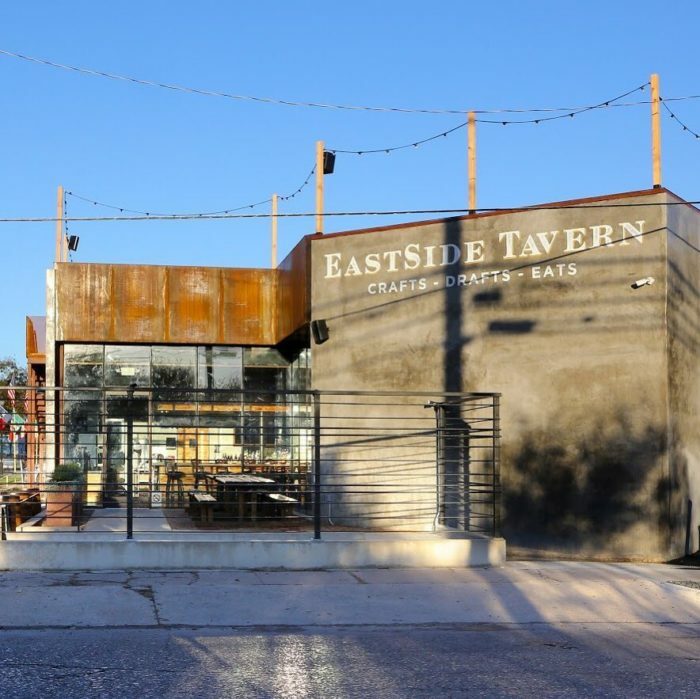 Visit Eastside Tavern at 1510 E Cesar Chavez. Hungry for more? 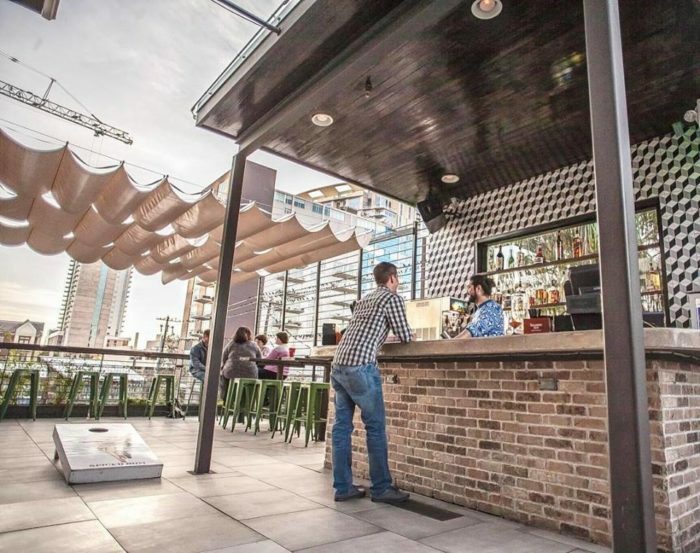 You’re sure to love these 10 incredible rooftop restaurants in Austin.